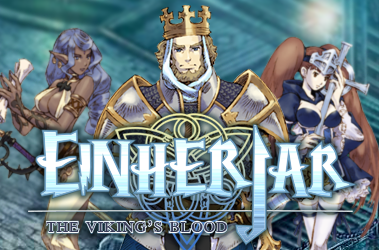 Einherjar – The Viking’s Blood players will want to check into the game from September 26th through October 3rd for a pair of in game events with boosts to both summoning and raid experience. Players raiding other groups of players will gain more experience during the event. Guild members will also be able to help their guild gain Tribute through raid wins. Specifically, for each summoned Viking fighter with Valkyrie Blood, players will receive 1 Mithril Chain + 1 R.Liath + 1 Runic Proof. And for each summoned Viking fighter with God Blood, they will receiveÂ 1 Orcihal Chain + 1 Liath Fail + 1 Valhalla God Proof.